Pocker Daisy Poker Daisy is a Casino Games.Holdem is variation of poker in which players compose the best 5 card hand using the two down cards in their hand ( hole cards) and the five shared community cards on the board. A player can use the both cards, one, or none ("play the board") to make their hand. 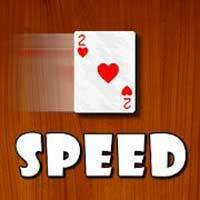 The best of any five card combination using player hole cards and the board cards determines the winner or the hand. A dealer button is used to determine the betting order and the order in which the cards are dealt. A big blind and a small blind bet after the dealer button that starts the betting. Rounds of Betting: 1. Opening deal- Each player is dealt two cards face down (hole cards). These are the player��s personal cards used to make their hand. 2. Betting Round One- This betting round starts with the player immediately after the big blind. Each player has the option to call, raise or fold when it is their turn. The last person to act is the big blind who has the option to raise if deaired. 3. The Flop- The first set of cards that the dealer puts on the board is called the flop. After the first round of betting is comp; ete, the dealer spreads 3 community cards face up on the board. 4. Betting Round Two- This and all subsequent betting rounds start with the player immediately after the dealer button. 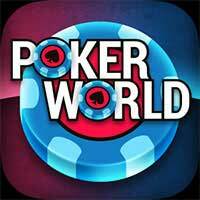 Each player can check, bet, fold, of raise depending on the previous player��s action. 5. The Tum- After betting round two, the dealer puts another community card face up on the board. This card is referred to as the turn. 6. Betting Round Three- Starting again with the player directly after the button, the players act in turn placing bets. 7. The River- The last community card that the Dealer puts on the board in known as the river. 8. Betting Round Four- Following the same structure of betting rounds two and three, this is the final round of betting before the showdown. 9. The Showdown- The hole cards of all the players are turned face up, and the winner is given the pot. The winning hand is determined by the highest five- card combination possible using both of the players hole cards and the board cards. In the event of a tie, the winning players split the money in the pot.